Pergola structure situated over raised beds creates a garden friendly green screen for plantation to grow. The concept and main idea behind this garden, was to create a green screen whilst maximising space. Having spent time researching a variety of timber merchants, garden wholesalers and outdoor structure companies the prospective client settled with Jacksons Fencing for their pergola green screen. To create the green screen our Single Pergola system was used. At the feet of the pergola two raised beds formed a solid timber base. Stainless steel tension wire between the upright posts finished the pergola. This created the structure for the climbing plants to grow onto thus creating a flowery green screen. During summer the screen will enhance the sense of privacy within the garden and create a secluded area. Steel wire was used instead of Trellis to create a more contemporary look; however timber trellis can also be used to create modern design. View the range here. Another alternative to raised beds are timber sleepers that could work equally as well. Sleepers are chunkier than the raised beds so can be used to add different depths within the garden. Sleepers are often better positioned round the edges of the garden to create borders. Since finishing the structure the Wisteria and two different varieties of clematis plants have been planted into each raised bed. If you would like expert guide on climbing plants, view our blog here. 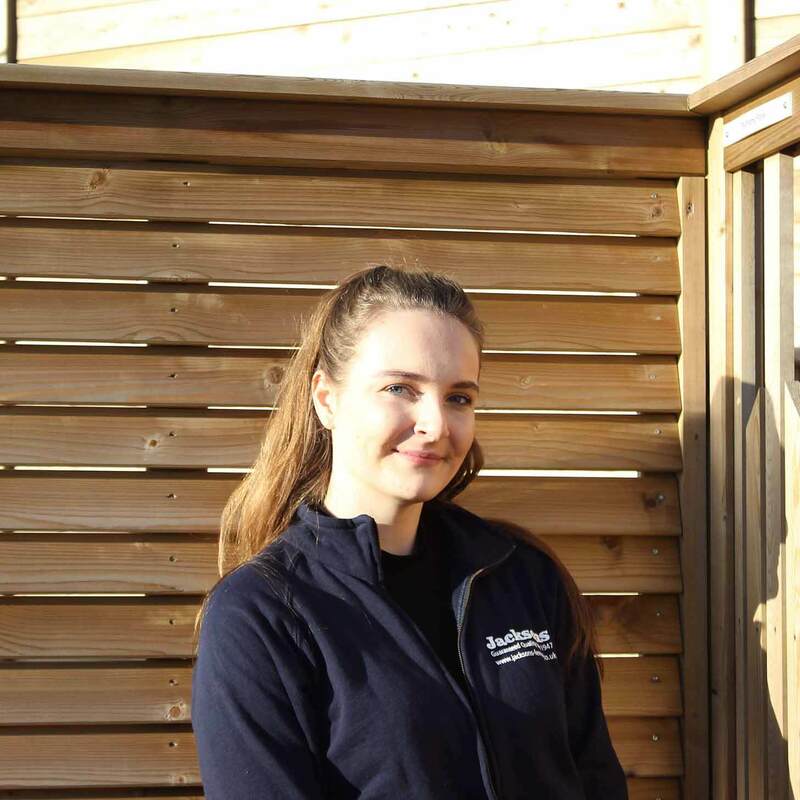 Georgia is a part of the Jacksons residential marketing team, writing regular columns on gardening, garden design and everything that is garden fencing, gates and structures.